After growing in each of its first two years, the LMCC teams committed to accommodating even MORE library pro attendees in 2017. So for 2017 we moved to the Hotel InterContinental, still in the Dallas suburb of Addison, as the hotel could help us comfortably hold even more attendees for keynotes and our sessions - no more sitting on the floor in the hallways! And you all responded, with more than 350 library professionals attending LMCC17! We once again solicited a wide range of proposals on marketing and communications topics, this time grouped into several pre-selected tracks. The planning team also reached out to library marketing experts to bring added insights to some popular track topics. 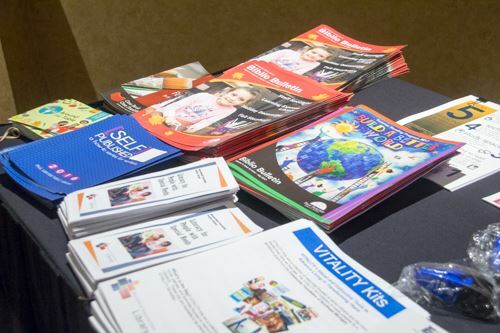 Thankfully we had a large number of excellent submissions to select from and it made for another year of education and inspiration for all levels of library marketing professionals. The 2017 conference was another labor of love from our all-volunteer planning team, from our Chair Kathy Dempsey, to our program team, promotion team, onsite activities team, marketing and graphics team, and all of our room hosts and moderators. Logistics, hotel details, food and all the details that make an event this size happen are handled by our incredibly capable partners, and association manager, Amigos Library Services. 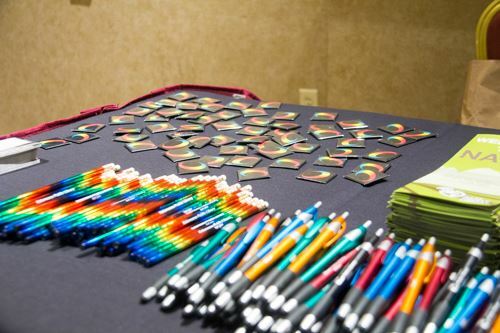 We thank all our sponsors and partners - our attendees wouldn't have as great an experience without your help! 2017 also brought the announcement that we had finally become 'legit'! We formed a registered, 501(3)c nonprofit - the Library Marketing Conference Group - that would be in charge of putting on the conference as well as exploring new ways to bring library marketing education, training, and networking to all interested library professionals. You can read more about the nonprofit formation and the Board of Directors here. We again had two excellent keynote speakers as well as a multi-track lineup of presentations and panels on all things marketing. Many of our topics, from keynotes to individual sessions, came in response to feedback and suggestions from prior conference attendees. We do try to live up to the marketing cycle ourselves and do market research! Our first keynote was "Libraries, Crises, and Social Media", from Shel Holtz, an award-winning nonprofit communications and PR expert. He asked us to rethink what we might term a 'crisis' for the library and think more of what we can all be doing to prepare for both unexpected events (true crisis) and the unpleasant but inevitable. We can have better communications and community relations if we anticipate certain types of events and practice how we will address them professionally, confidently, and quickly. The keynote on the second day was from Gina Milsap of the Topeka & Shawnee County Public Library, the 2016 Gale/Library Journal Library of the Year. 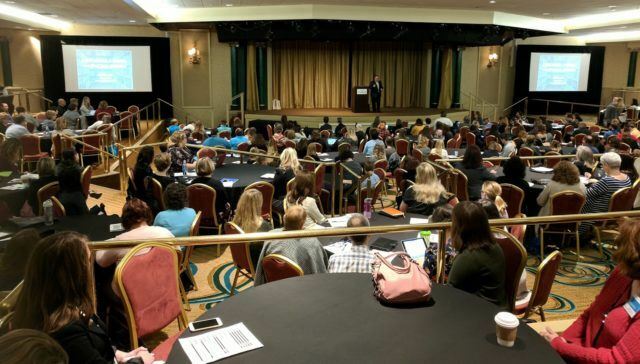 Past conference attendees and our networks of library professionals have mentioned that those in library marketing often face challenges with acceptance, buy-in, and collaboration within their libraries from colleagues, peers, and bosses. The LMCC team asked Gina if she'd discuss what she learned on the way to becoming a 'Library of the Year' and how she worked with her whole staff to buy-in and provide excellent service. Her presentation was, "Building Buy-in for Marketing Your Library", and our attendees liked it very much. A key learning point she stressed was that all library staff need to feel as they are part of the marketing process, and start getting them involved early in any changes. This doesn't mean everyone in the library gets to design marketing pieces! But that it's easier to get buy-in when they understand their role and why marketing matters to each them in their individual roles. 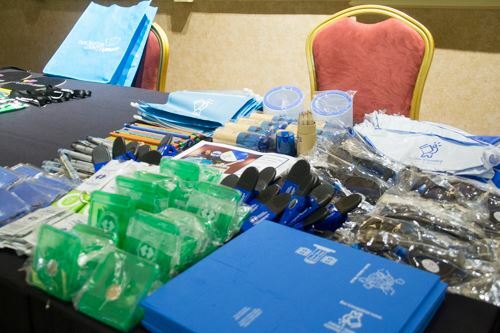 The Swag Swap returned for its second year and attendees brought examples of their library's marketing collateral, give-aways, and promotional items to share with fellow attendees. The event was so popular in 2016 we needed more room in 2017 and more time to allow attendees to peruse all the examples that were brought to TX. We had excellent networking sessions during our two lunches (one with tables grouped on hot marketing topics, the other by geography), during snack breaks, as groups sat and shared charging cables for devices, and as groups gathered for the many dine-arounds at local restaurants. We also held a fun volunteer recruitment happy hour as attendees eagerly asked how they could be involved in planning the next LMCC. You can see titles of all the sessions across all the tracks in a printable PDF by clicking here. Check below and you might find yourself or your library colleagues in some of the photos taken by LMCC team members! Photos from 2017 and past years are shared in our LMCC Flickr account and the Flickr account of volunteer Curtis Rogers. You can also read a recap of LMCC17 from 2017 Chair Kathy Dempsey in the Jan/Feb 2018 issue of Marketing Library Services newsletter. All of our volunteers - past and present, our partners at Amigos, and our Board of Directors hope to see you in 2018 as we move the Library Marketing and Communications Conference to St. Louis, MO!